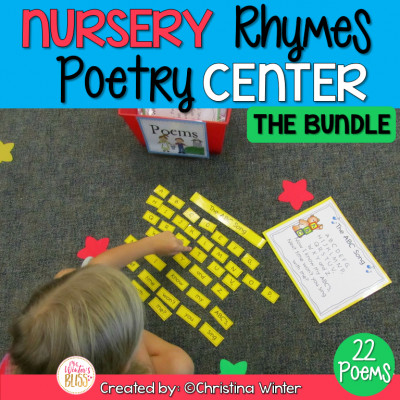 Oh, March…the month when the novelty of snow and cold weather has worn off but the warmth and green of spring has not yet arrived; when winter break feels long ago but spring break is not yet within reach. It can be a long month for teachers. Knowing this, I try to spice things up by making the most of one special day, March 17th, St. Patrick’s Day! Smaller holidays like St. Patrick’s Day are fun because it doesn’t take a lot of planning and work to make them feel special. 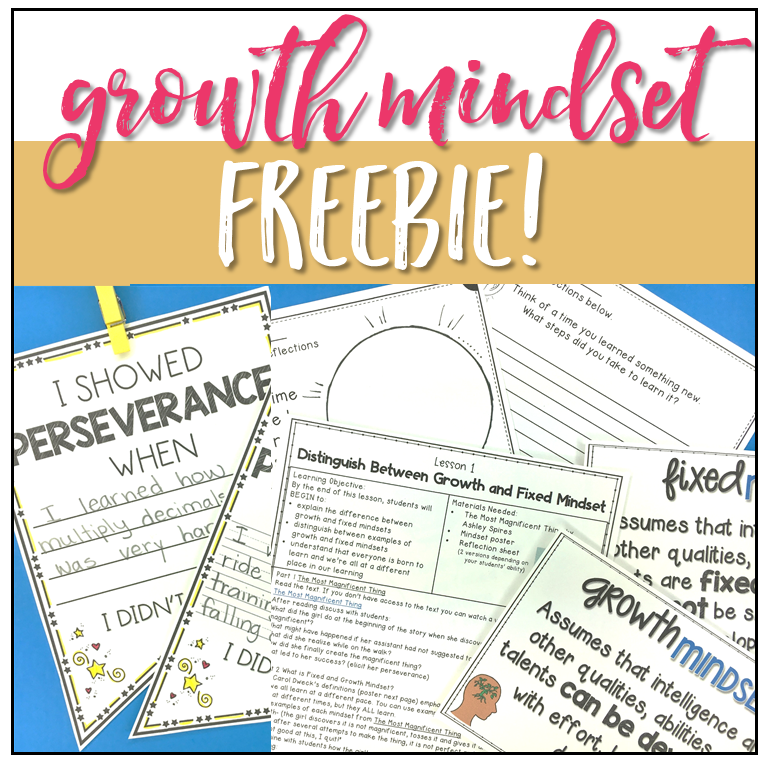 There are so many simple ways to make the day feel exciting and new! 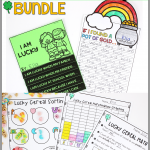 Today I’m happy to share with you the some songs, crafts and simple games that I’ve gathered from the internet, as well as my very own St. Patrick’s Day math and literacy bundle that will make your students feel LUCKY to be in your class! 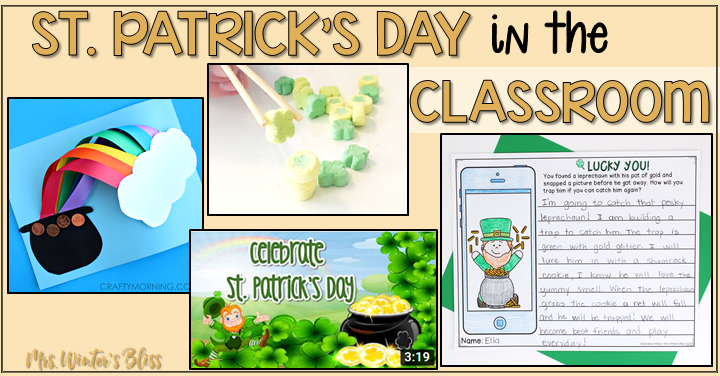 This is an engaging counting song set to a St. Patrick’s Day theme. Students will practice counting by 1s, 2s, 5s and 10s. 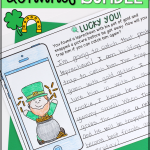 The Leprechaun Dance is the perfect brain break for St. Patrick’s Day! 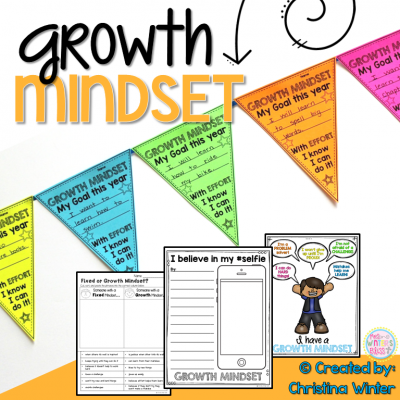 It’ll get your students moving their bodies in fun and simple ways. 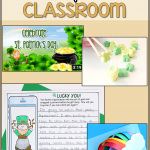 This song for kids teaches children all about the history and origins of the St. Patrick’s Day holiday, including traditions like leprechauns, wearing green, the pot of gold, and rainbows. Finally, Celtic songs are a wonderful way to get kids up and moving to music. They are great for encouraging improvised Irish dancing or simply marching and skipping. 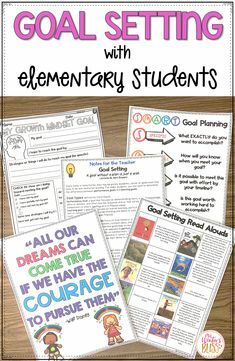 Here are two that will surely get your students up and moving! 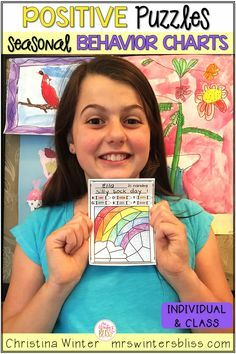 This 3D Over the Rainbow is a fun and challenging craft for kids to make! 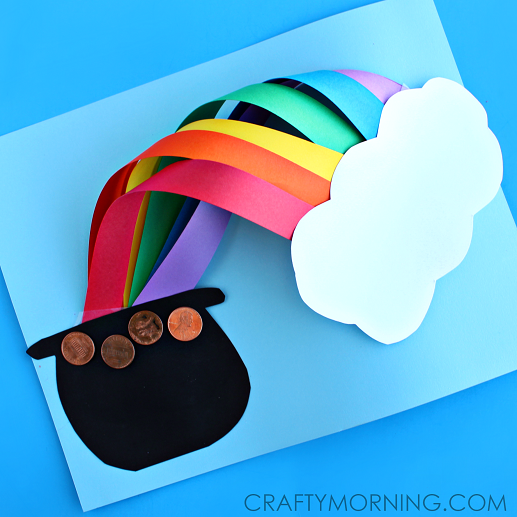 Add some pennies to the pot of gold to make it extra special! 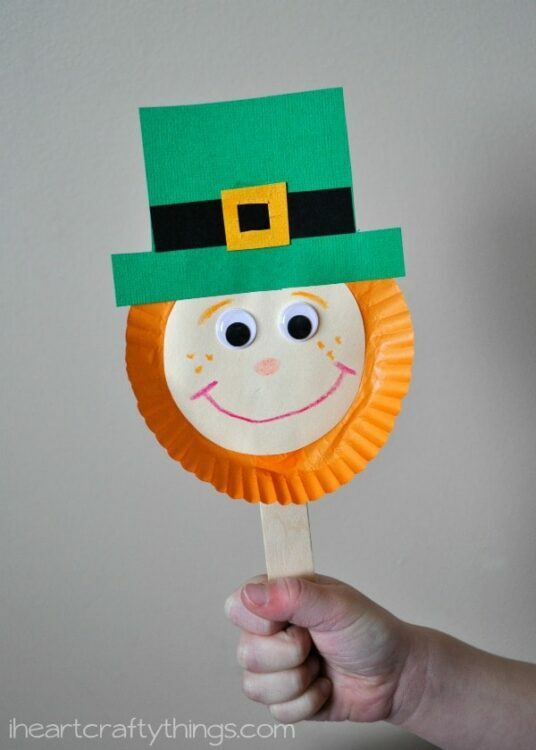 This leprechaun stick puppet is adorable, easy to make and perfect for kids who love pretend play! 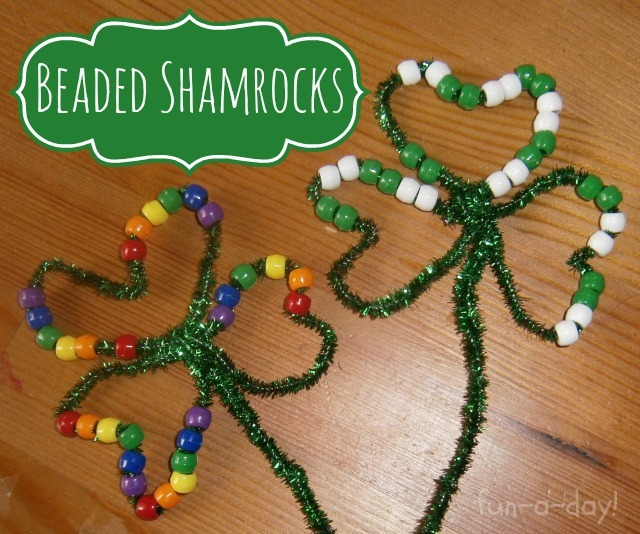 Beaded Shamrocks is a simple craft that requires just beads and pipe cleaners! 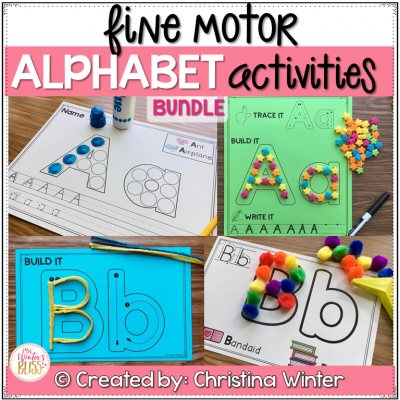 It allows students to practice their fine motor skills, as well as work on counting and patterns! 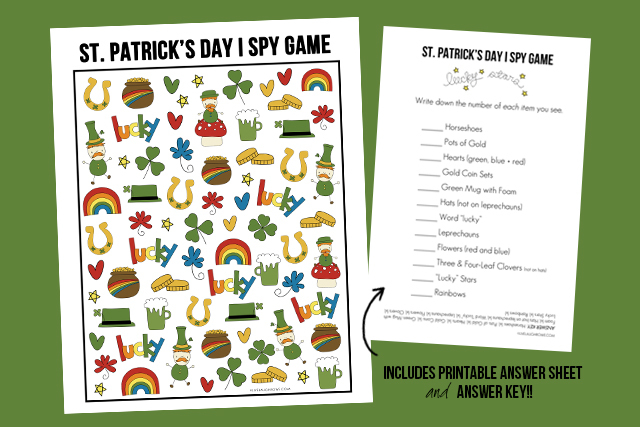 St. Patrick’s Day DIY Edible Matching Game this memory boosting game is easy to make and anything edible is sure to be a favorite! 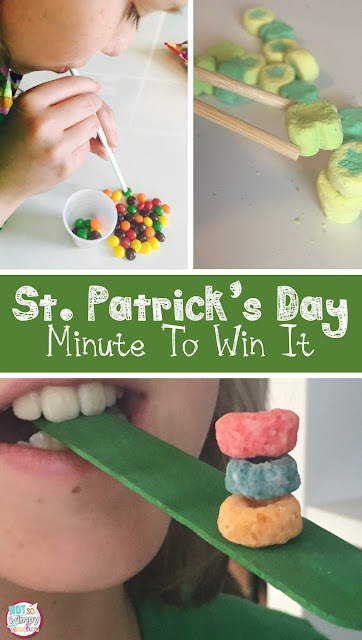 St. Patrick’s Day Minute-to-Win-It This post shares 6 different quick and games that will have students working together and laughing out loud! Musical Shamrocks A fun twist in where musical chairs and a cake walk collide! 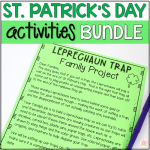 Kids will love moving their bodies as you play a little Irish music! 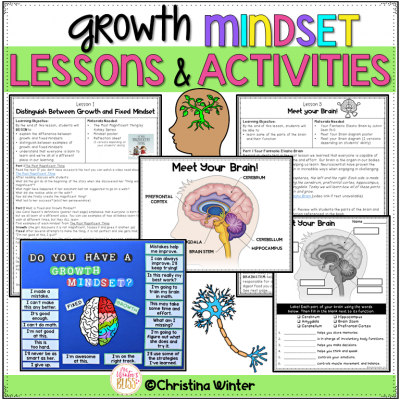 I Spy Students of all levels are sure to have fun with this “I spy” activity that includes a little math and memory development! 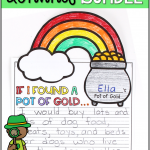 The “Pot of Gold Relay” is a simple game where teams race to see who can be the first to fill their pot with gold. 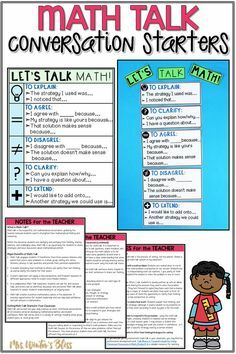 To play, divide students into two teams. Place one pot at the starting line for each team. 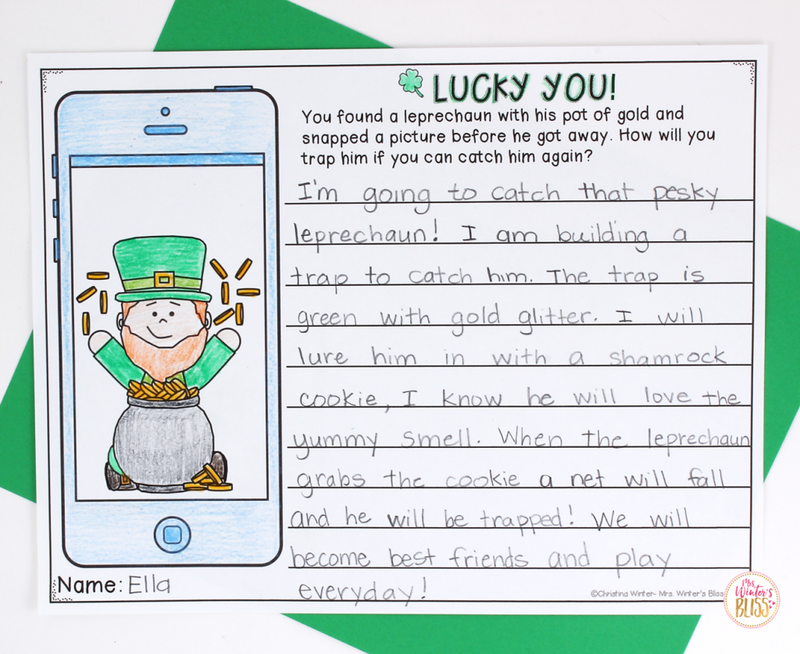 Several feet away from the starting line, fill two more pots with gold coins or butterscotch candies. 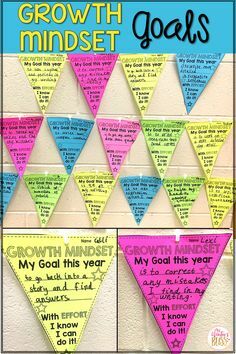 Make it an academic review relay by writing math facts or sight words on shamrock cutouts or colored paper! 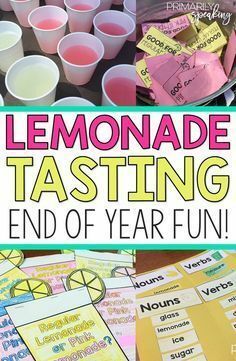 It would be a great game to play outside if the weather permits! 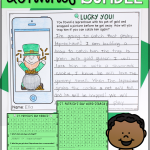 Finally, I’m excited to share with you my very own St. Patrick’s Day resource! 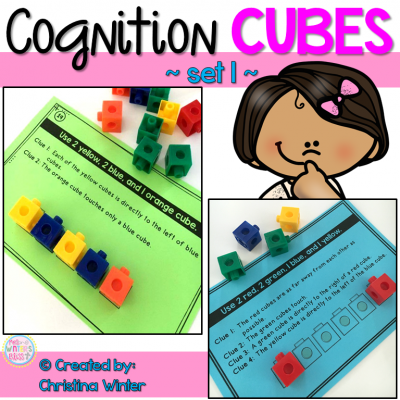 This bundle of math and literacy activities has many options for differentiation and is sure to keep students of all levels engaged. 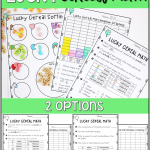 It is one resource that will make you feel like you discovered the pot of gold! Let’s take a closer look at all that is included…. 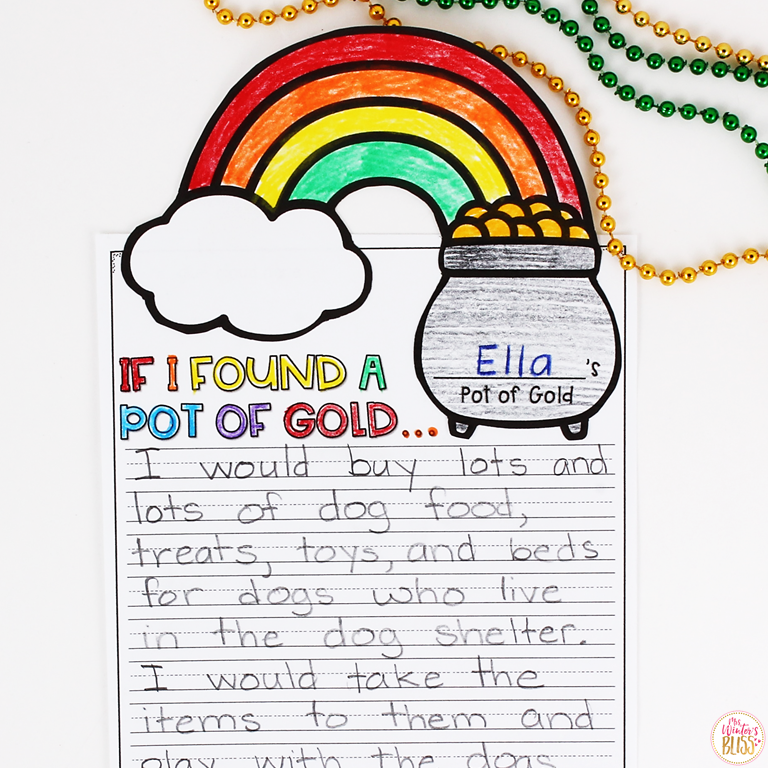 Here students get the chance to imagine and explain what they would do if they found a real pot of gold! 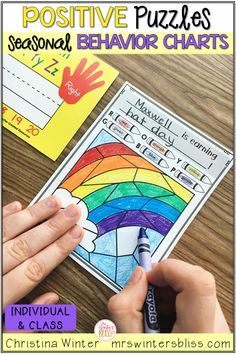 (comes in both primary and regular lined options) This makes an adorable hallway display or bulletin board! 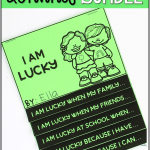 This writing activity encourages students to think about the many ways in which they are lucky. 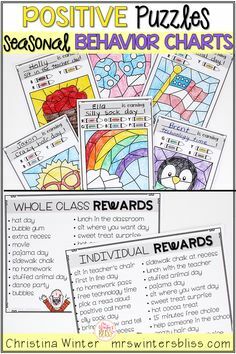 It’s a wonderful activity to practice gratitude! 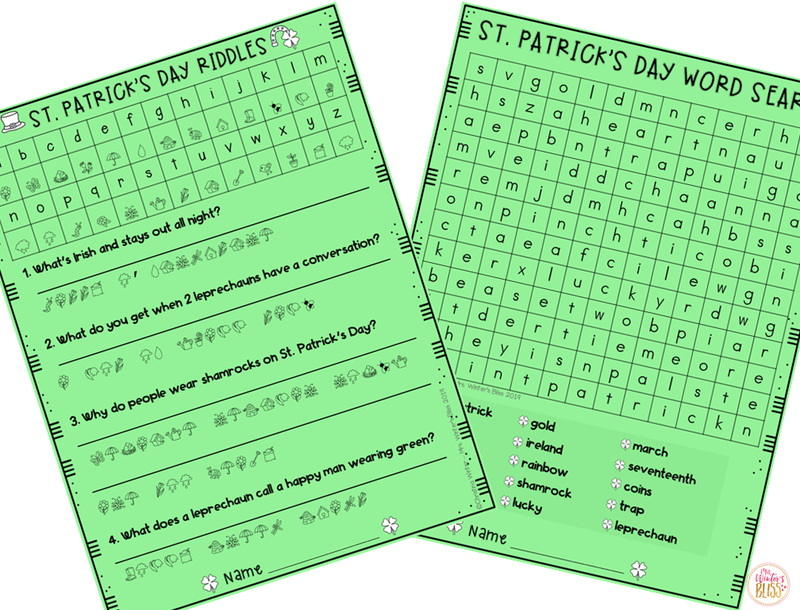 Students will love searching for St. Patrick’s day words and working to solve the silly holiday riddles! 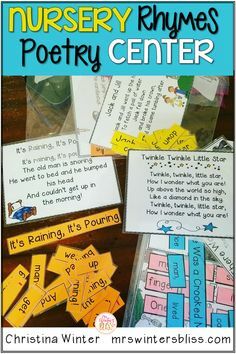 These activities are perfect for centers, morning work, or fast finisher activities. 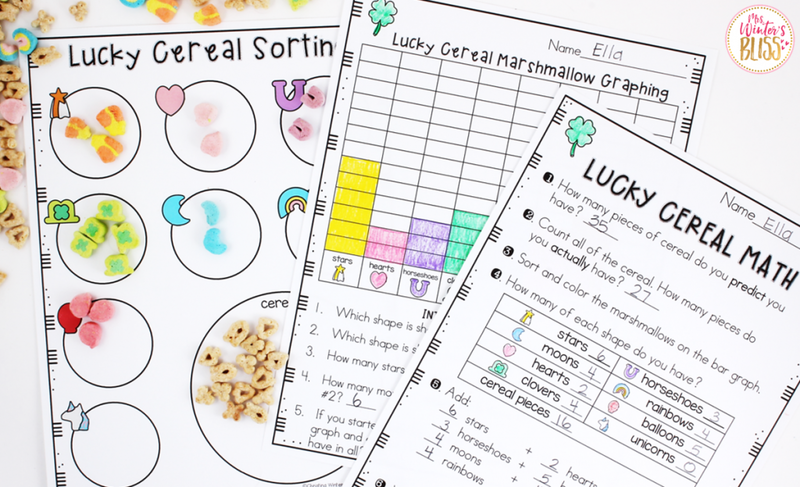 Math is always more fun when treats are involved! 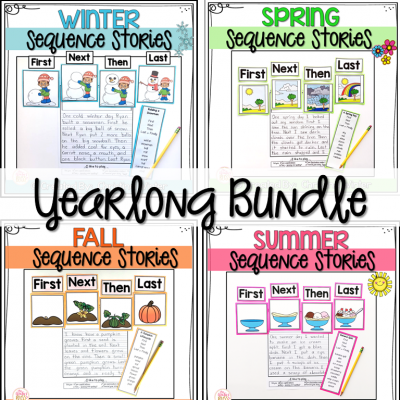 Students will predict, sort, count, add and graph all in one engaging activity. 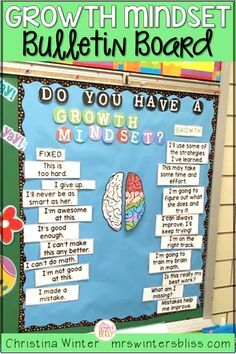 There are two options with varying levels of difficulty to help ensure all students are appropriately challenged. 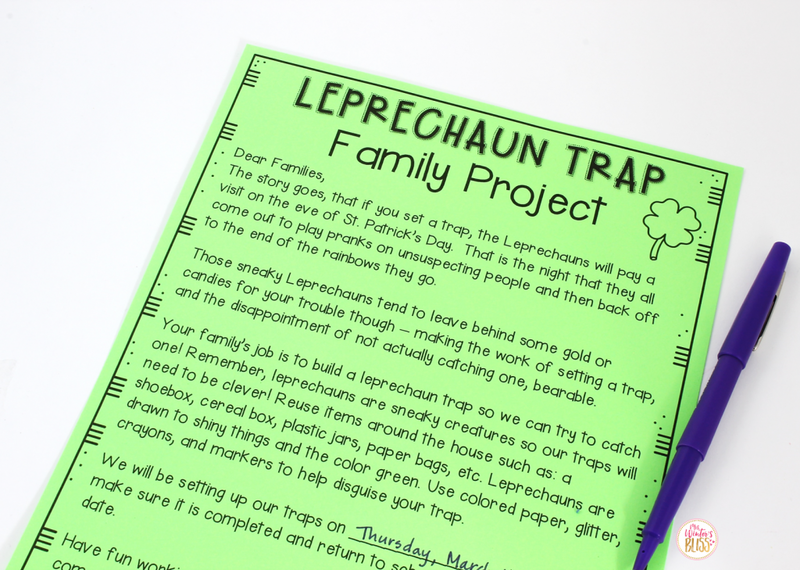 Encourage students to use their creativity and construct a Leprechaun trap! 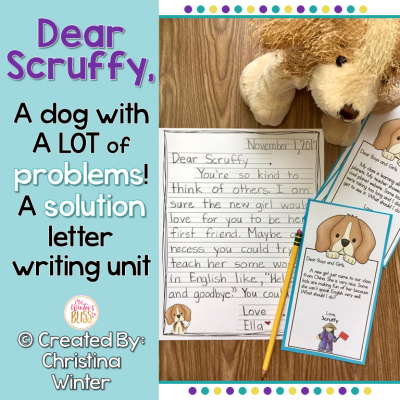 This editable family letter makes the activity exciting and effortless for you! 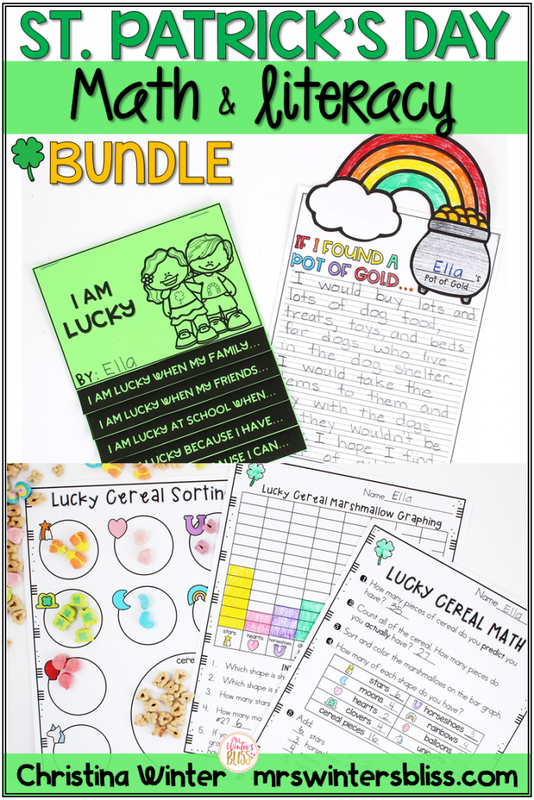 Head to my shop now to get these St. Patrick’s Day Math and Literacy Activities and your planning is DONE! It is sure to bring some excitement to the month and make March 17th a memorable day for all!